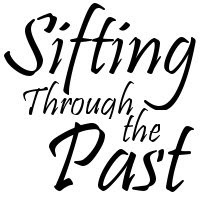 While I'm still in the midst of rebuilding some of the elements I lost when I imported Sifting Through the Past over to Blogger, I have another situation on my hands. 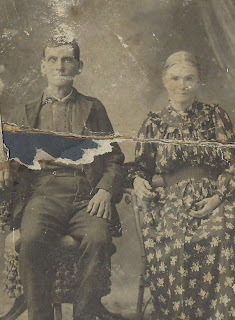 Have I been wrongly copyrighting old family photos that I've posted to my blog? It was a tough decision to make in the first place. I didn't want my family to think I was claiming exclusive rights to use OUR family photos. But I also didn't want OUR family photos ending up being sold by some complete stranger with no rights to the photos whatsoever, just because I chose to share the images on my blog without protecting them in some way. In preparation for a cruise to the West Caribbean, I decided to learn how to use all those mysterious settings on our digital camera. I wanted to get some awesome photos of places I would likely never see again. And, knowing this would be the first, and possibly last, time I would see blue oceans, I wanted to capture that as accurately as I possibly could. Anyway, the article brought to my attention that there have been people selling other peoples photos on stock photography sites. It stressed the importance of watermarking images uploaded to the internet to prevent such misuse, and got me thinking that perhaps I should be doing this with my blog? But I'm not worrying too much about the blog right now cause we are going on a cruise. I just don't have the time. Fast forward, we get back from the cruise. It's early December. I get back to my blog, and realize that I have posted some images that may be infringing on others' rights. Damn, sorry dudes, my bad. I immediately begin editing and "un-publishing" anything and everything I'm not 100% certain of. Then I start contemplating whether or not I should replace the rest of the images with watermarked versions. Like I said, I don't want family thinking I'm trying to claim exclusive rights. I just want to be responsible with the family photos I post online. It's not like I'm stamping the original photos, or even the original scans. These are scaled-down-to-a-reasonable-blog-post-size copies. I'm just claiming this one little digital file. Not the multiple other copies out there. Well, it seemed like sound reasoning at the time. Then Jana Last posts about watermarking photos! Validation! I'm not the only one thinking about this! Others are doing this too. It's normal. It's responsible. It's okay. And that better way was proposed by none other than Jana Last herself almost two weeks ago, while I was busy investigating where I could move my blog, keep my domain name, and stop paying for hosting. Jana's blog post, I've Changed My Mind, reminded me that generations from now, distant cousins may set out on the same journey of ancestor discovery that I myself set out on some five or more years ago. I remember being amazed when I stumbled across photos of one of my great grandmothers as a young woman. And, of course, I immediately saved the images to my computer without a second thought. Thank you, Patsy Davis, where ever you are, for all of the research you have done, and for sharing every single bit of what you found without reservation. I really appreciate the photos of Prudence Leache, Tench Carson Sammons and Elvira DeShazo. Without all of your hard work, there is so much I may never have known about this branch of my family, simply because I wouldn't have thought to ask. It'll take some time, but I'll fix this for those who really do need these family photos for their own research, just like I did. And still do.